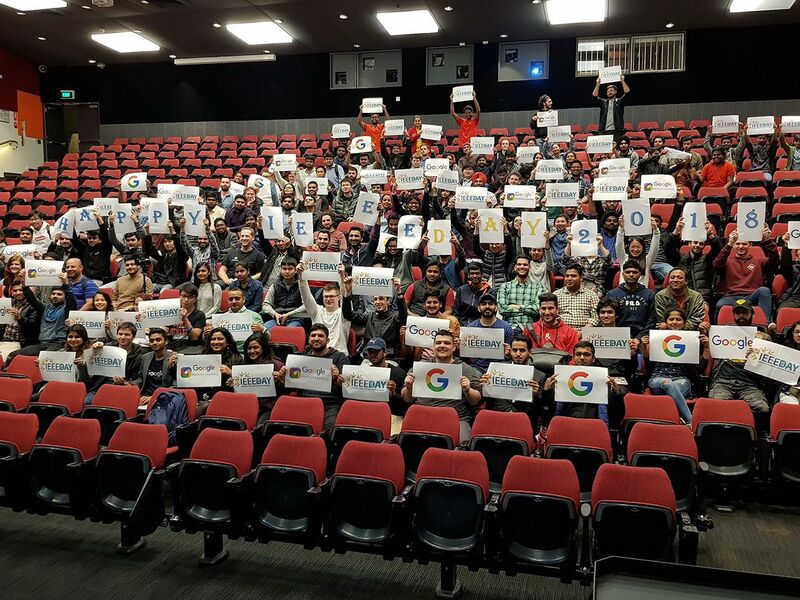 Large number of people from the IEEE La Trobe Student Branch in Melbourne, Australia holding signs including “Happy IEEE Day” and IEEE Day and Google logos. THE INSTITUTEIt has been 10 years since IEEE set aside a day to commemorate the anniversary of the meeting in Philadelphia in 1884 when members of the American Institute of Electrical Engineers, one of IEEE’s two predecessor societies, gathered for the first time to share technical ideas. Since then, IEEE Day has grown in popularity. For some sections, one day is not enough, so celebrations now are held throughout the first two weeks of October to accommodate those that prefer to hold weekend events. A record number of celebrations are expected to be held this year to mark the 10th anniversary, which is just six months away. Last year more than 1,050 events took place, compared with a little less than 1,000 in 2017 and fewer than 600 in 2016. To give organizers ideas for the types of events they might want to consider, here’s a selection of those held last year. Members of the IEEE student branch at NSS College of Engineering, in Palakkad, Kerala, India, distributed books to elementary school students. Meanwhile, nearly 100 people donated their shorn locks in a campaign run by student members at the Universidade de Brasilia to make wigs for people who lost their hair due to cancer treatment. More than 500 people attended sessions on cryptocurrency and blockchain technology organized by the student branch at the University of Colombo’s School of Computing, in Sri Lanka. The student branch at the RMIT University, in Melbourne, Australia, featured several faculty members who spoke about recent trends in power engineering. The event, which included free refreshments, gave attendees an opportunity to network with industry professionals and fellow students. The IEEE Houston Section held an indoor skydiving event at the city’s iFly facility. Attendees entered a vertical wind tunnel that simulates free-fall conditions. The day included an interactive presentation, demonstrations in the wind tunnel, and lab activities for students. The IEEE Central University of Karnataka student branch, in India, ran a field trip to the Chincholi Wildlife Sanctuary. Covering nearly 135 square kilometers, the forest is home to wolves and hyenas. IEEE produced several videos last year about its programs that can be shown at IEEE Day events. More than 4,000 people viewed them on IEEE.tv. They include a tour of the IEEE History Center’s most treasured artifacts, an overview of some humanitarian projects members are involved with, and tips on mastering STEM topics. It’s not too early to start planning. Check the IEEE Day website for updates. Denise Maestri is the IEEE Day staff coordinator. She’s the member and volunteer-engagement manager for IEEE Member and Geographic Activities.